Fabrique National has long built firearms that service men and women rely on around the world. Their rifles, machine guns, and pistols are built to withstand the varied and unrelentingly harsh conditions of battlefields around the world, and FN now brings you those same dependable characteristics in the FN 15 Carbine. This firearm features a 16-inch, button-broached, chrome-lined barrel for extended service life and a collapsible stock for easy adjustment to the shooter's needs and positions. The FN 15 Carbine is finished off with a removable carrying handle, complete with rear sight, and an A2-style front sight for easy target acquisition. 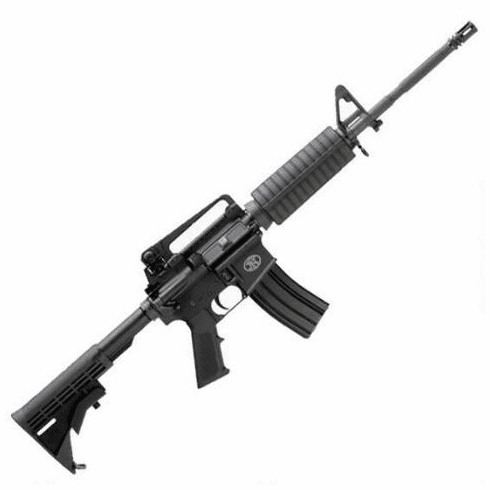 Also comes with a Knights Armament railed handguard.